On May 9, the CBC reported that frozen beans in Canada’s north are the latest food to be recalled over fears that they may be contaminated with listeria, a foodborne bacterium that, in 2008, killed 42 percent of the 57 people who came down with listeriosis after consuming contaminated deli meats (read The Problem with Listeria). In April, as part of routine monitoring, the Ohio Department of Agriculture collected isolated samples of Listeria monocytogenes from True Goodness by Meijer brand frozen organic white sweet cut corn and frozen organic petite green peas. Both were produced by CRF Frozen Foods of Pasco, Washington. 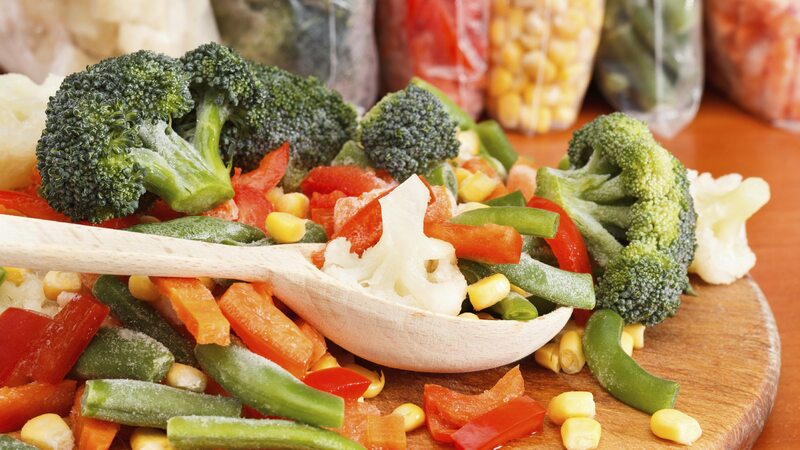 On April 22, the company recalled 11 frozen vegetable products. In early May, the recall was extended to all of the firm’s frozen organic and traditional fruit and vegetable products that had been manufactured by its Pasco facility since the beginning of May, 2014. This translated into approximately 358 consumer products (42 separate brands), being recalled. Additionally, in March, 2016, samples collected by the US Food and Drug Administration from the Oregon Potato Company, also located in Pasco, Wash, were discovered to be closely related to the isolates of ill people linked with the Ohio outbreak. Further to this, the Oregon Potato Company voluntarily recalled their wholesale onion products and this led to other recalls. The US Food and Drug Administration is now trying to determine if other elements of the supply chain may have products related to this problem. In Canada, a number of recalls have been also been announced — triggered by the recall in the United States. These involve frozen vegetable products, such as organic sweet peas, frozen organic butter squash. To date, there have been no reported illnesses in Canada associated with the consumption of these products. The Canadian Food Inspection Agency (CFIA) is currently conducting a food safety investigation, and this may lead to the recall of other products. However, if other high-risk products are recalled, the CFIA notifies the public through updated Food Recall Warnings. As is always the case in these situations, the CFIA also verifies that industry is removing recalled products from the marketplace. See Recalls Outbreak Emergencies and Food Recall Warnings. • Food contaminated with Listeria monocytogenesdoes not usually look or smell spoiled, but it can still make you sick. • If you think you may have become sick from eating a recalled product, you should call your doctor. • Also please check to see if you have recalled products in your home. Recalled products should be thrown out or returned to the store where they were purchased. • Symptoms can include vomiting, nausea, persistent fever, muscle aches, severe headache and/or neck stiffness. • Pregnant women, the elderly and people with weakened immune systems are particularly at risk. Although infected pregnant women may experience only mild, flu-like symptoms, the infection can lead to premature delivery, infection of the newborn or even stillbirth. In severe cases of illness, people may die. Scientists today are much better at solving and proactively identifying foodborne outbreaks because of more sensitive methods such as whole genome sequencing. Thus, as with this case, in the future we will likely be seeing the reporting of a greater number of outbreaks, but they will be smaller in nature. Also, we now have the ability to trace cases back in time; some of the cases that are being reported on were actually traced back to 2013. There is also a major policy angle to consider. At the international level, an international policy developed under the auspices of Codex Alimantarius has set a tolerance level for L. monocytogenes of 100 colony forming units / g of food. Above this level, a potential health hazard exists. Below this, the risk is considered to be very low because on products such as frozen vegetables, it should be impossible for L. monocytogenes to grow. This leads to the question: do we need to re-visit the Codex Alimentarius standard? Many people feel that the main issue is not the standard itself, but that adherence to the standard is not being met in a number of food products. Jeffrey Farber is the Director of the Canadian Research Institute for Food Safety (CRIFS) at the University of Guelph and Coordinator for the Food Safety and Quality Assurance Graduate Program. He can be reached at jfarber@uoguelph.ca.